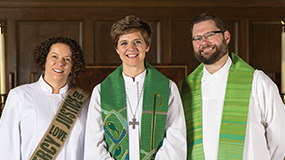 The Walk to Emmaus is grounded theologically and institutionally in The Upper Room ministry of the United Methodist Church. However, The Walk to Emmaus is ecumenical. The Walk to Emmaus is a three-day spiritual experience which takes a New Testament look at Christianity as a lifestyle. The Walk begins Thursday evening and concludes Sunday evening. The weekend is designed to strengthen and renew the faith of Christian people, and through them, their families, congregations and the world in which they live. Emmaus is a combined effort of laity and clergy toward the renewal of the church. You will have the opportunity to participate in the daily celebration of Holy Communion and to begin to understand, more fully, the presence of Christ in his body of believers. You will experience God’s grace through the prayers and acts of service of a living support community. The objective of Emmaus is to inspire, challenge, and equip local church members for Christian action in their homes, churches, and places of work. Emmaus lifts up a way for our grace-filled life to be lived and shared with others. Who should go on a Walk to Emmaus? All Walks are held at Camp Young Judaea near Wimberley and Scholarships are available. 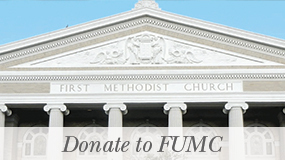 If you are interested, FUMC has a community of Emmaus pilgrims that would be blessed to sponsor you on your walk. Please contact Teresa Edwards at te4858@gmail.com or any of the many FUMC members who have been on a walk to discuss scheduling your pilgrimage. Anyone will be willing to help you get signed up. For more information about the Greater Austin Emmaus 4th Day Group, please visit http://austinemmaus.org or the national page at http://www.upperroom.org/emmaus.